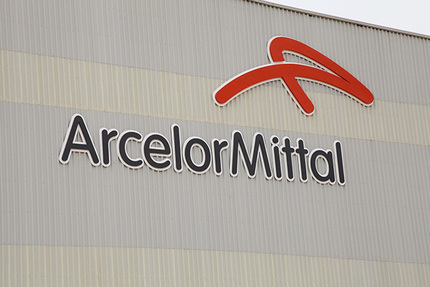 Principle successfully deliver global brand implementation project at over 1200 locations across 52 countries for ArcelorMittal. Principle has worked with the world's largest steel producer ArcelorMittal since 2007 and in that time have rebranded over 1200 locations across 52 countries. The latest project to be completed by Principle took place at ArcelorMittal’s facilities in Jubail, Saudi Arabia and involved the manufacture and installation of two large 20m skyline signs, and the creation of the global design standards for all corporate identity site branding. Principle liaised closely with ArcelorMittal’s Head of Brand and local project manager throughout the duration of the project to ensure a smooth implementation of the skyline signs, including adherence to strict safety rules and regulations. The project was delivered to the client’s complete satisfaction.